Weaving (Raranga) - Harakeke, Muka & other fibres. Prices do not include packaging/postage. Please contact me if you wish to purchase any item/s. Materials: muka, marbles, wire and clay. Size: 170(w)mm x 155(h)mm. Handles not included in size. Materials: Muka, feathers and beads. Materials: harakeke dyed and natural. 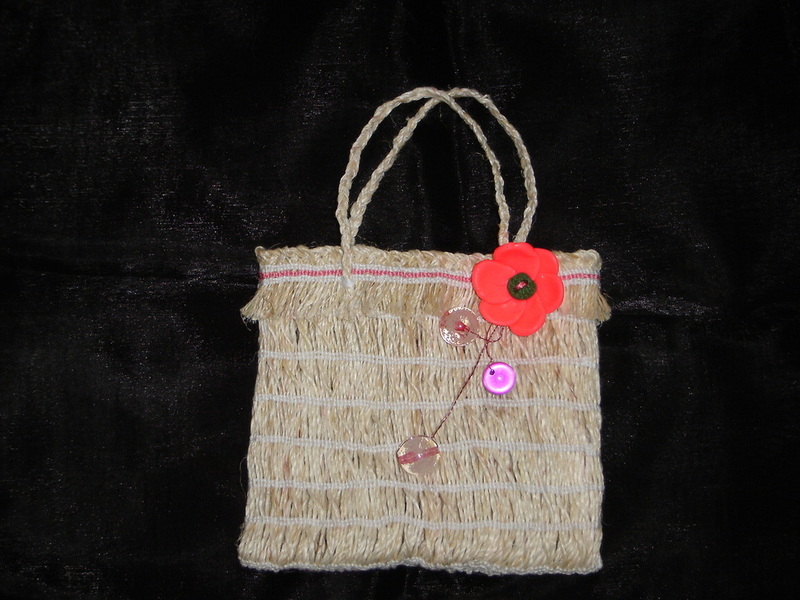 Kete (W) 270 mm x (H) 185 mm does not include handles. Materials: muka with cotton used for the aho. The coloured whenu were dyed using madder root with a mordant. 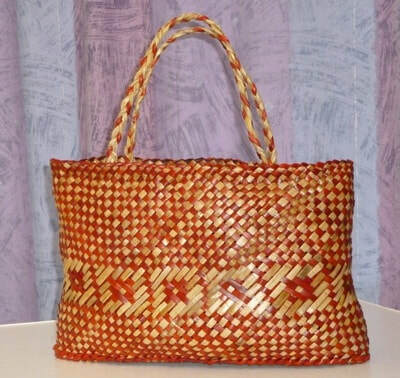 I make a variety of Kete Kumara, prices vary according to size between $40 and $70, Those below are now available for sale. See gallery for more designs.